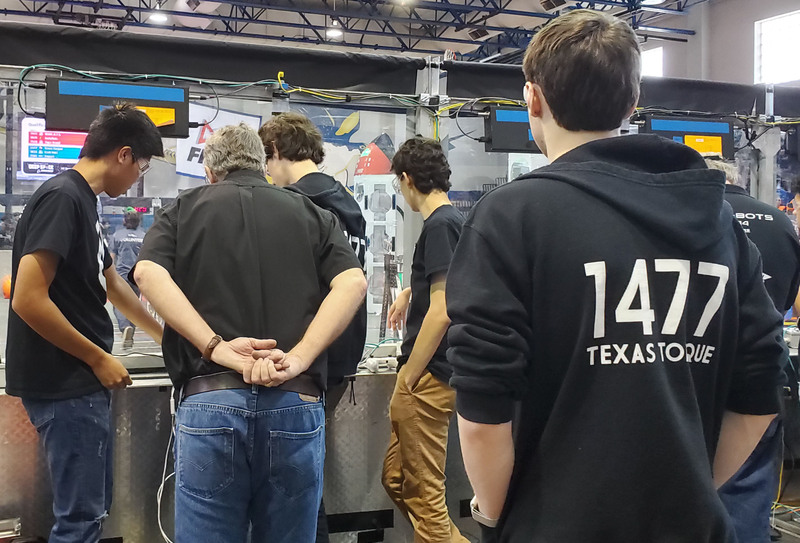 Last weekend, students, mentors, and parents of Texas Torque traveled to Channelview, Texas to compete for our first competition of the season. Ray, the 2019 robot, competed in 10 qualification matches and ended in rank 13. 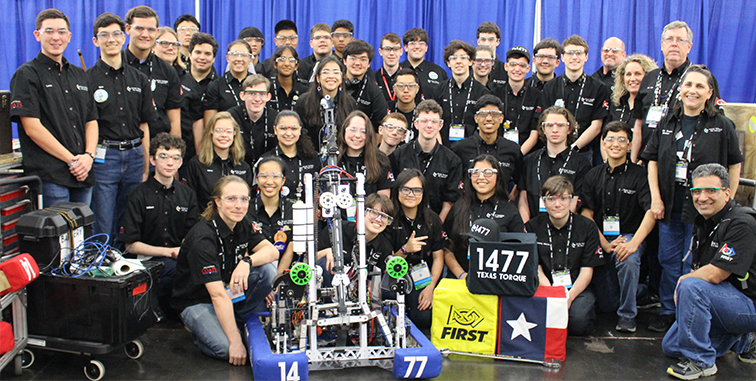 Texas Torque joined the alliance captain team 5261 Cyber Shock and Team 7494 Circuit Bizurkers to compete in the elimination rounds as the fourth seed alliance. The teams advanced to the finals and ended with a 9-9-1 record. Although there were some problems with the robot, overall Texas Torque performed very well. Congratulations to Team 624 Cryptonite, Team 3834 Crab-bots, and alliance captain Team 5892 Energy HEROs for winning the district championship. Torque was also very proud to be awarded with the Safety Award- sponsored by Underwriters Laboratories as well as safety captain Victoria Tatman for being awarded “Safety Star of the Day” by Underwriters Laboratories. Additionally, for the second year in a row, the team won Engineering Inspiration Award for our outreach efforts. Check out our Channelview Recap video! To keep up with the District Del Rio Event that we are competing at this weekend, be sure to follow us on Twitter, Instagram, Facebook, or The Blue Alliance for updates on our progress. 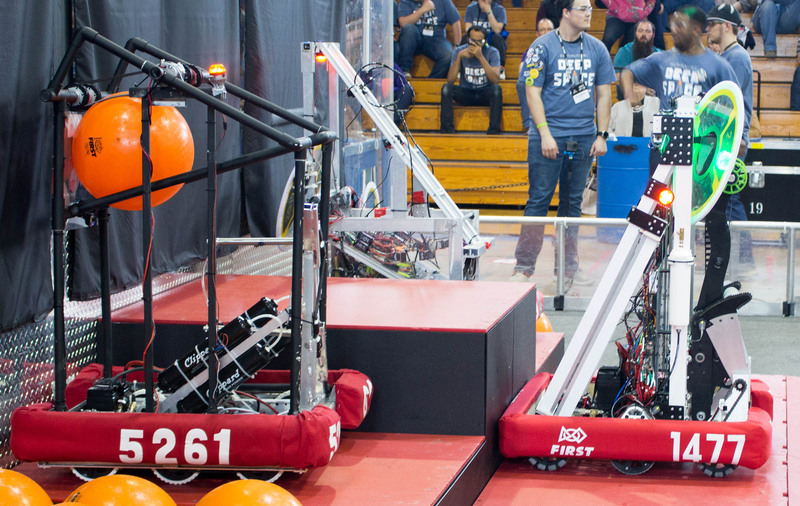 Last Saturday, students, mentors, alumni, parents, and supporters of Texas Torque met up in The Woodlands College Park High School LGI to watch the FIRST Robotics Competition 2019 game reveal. 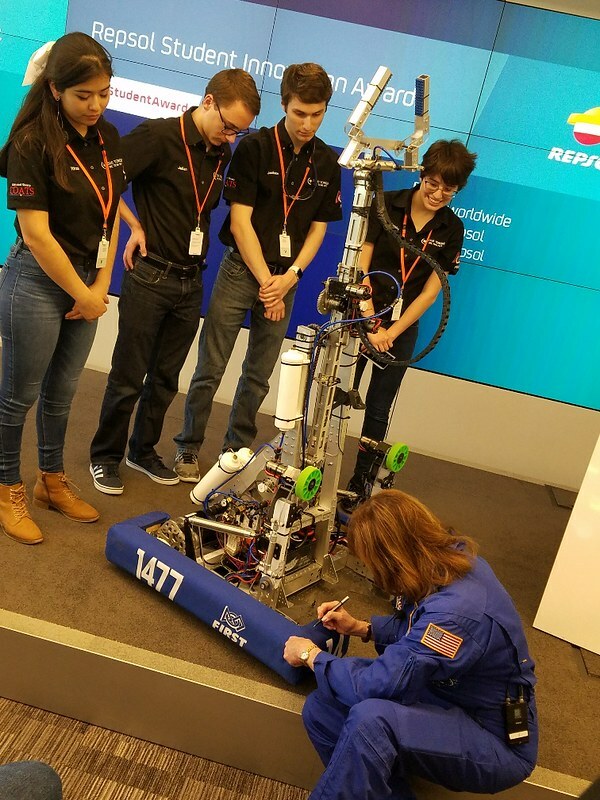 This much-anticipated webcast revealed the year’s challenge and marked the beginning of the new FRC season, DESTINATION: DEEP SPACE. The 2019 competition involves a space themed game in which two teams of three robots compete to grab disk shaped “hatch” panels to place on a “rocket” or a “cargo ship”, then place “cargo” kickballs afterward. In the first 15 seconds of the game, a sandstorm, or black curtain, is lowered in front of the drive teams, instead of the autonomous periods in past years. At this time, teams can control the robot using visual feedback from the robot and its cameras and sensors. After the initial sandstorm, the curtain is then raised for the tele-operated period. In the last 20 seconds of the match, teams return their robots to the habitat platform and scale different levels of steps to gain additional points. The following video released by FIRST further explains the challenge. Following the exciting reveal, Torque members spent the next few hours brainstorming and discussing design and strategy for the game. Students collaborated with mentors and alumni to come up with prototype ideas and strategies to maximize match scores. For the next six weeks, team members will work to design, prototype, construct, and program a new robot for the season before the seven week competition season begins. During the summer of 2018, two Texas Torque members, Ithza and Cristy Lopez, traveled down to Nueva Rosita, Coahuila, Mexico to host the FIRST Lego League (FLL) camp, Construyendo los Ingenieros de Mañana (Building Tomorrow’s Engineers). They borrowed an FLL field and robot materials from Texas Torque as well as books in Spanish from local libraries to encourage reading. The CIM Robotics camp established itself in Casa Grande in the summer of 2017. Aimed to spread Science, Technology, Engineering, and Mathematics (STEM) education and encourage STEM education equally to boys and girls, the camp was also two of Torque’s team members’ rural hometown. In 2017, Ithza and Cristy were the sole mentors and only one school was able to participate in the camp. This year, every elementary school in the area was invited. Thirty 4th-6th grade students were accepted from the list of applicants as well as twelve student mentors from local community colleges. Alongside attendance growth, a small library was added to the camp so students would be able to read while participating, during recess, and at home. At the end of the camp, the Texas Torque representatives hosted a closing ceremony. Local news stations and government, businessmen and women, engineers from the regional association, and a mentor from FIRST Robotics Competition (FRC) 6684 RoboCats from Laredo attended the closing ceremony. At the ceremony, special awards were presented for an exemplary mentor and a handful of students who showed outstanding qualities as young engineers. After the ceremony, Ithza and Cristy provided information on the requirements and benefits of official team formation. Using the information provided, Grupo Mexico has announced it will be sponsoring FLL teams in Nueva Rosita as well as their national network of sites for the 2019 FLL competition season. 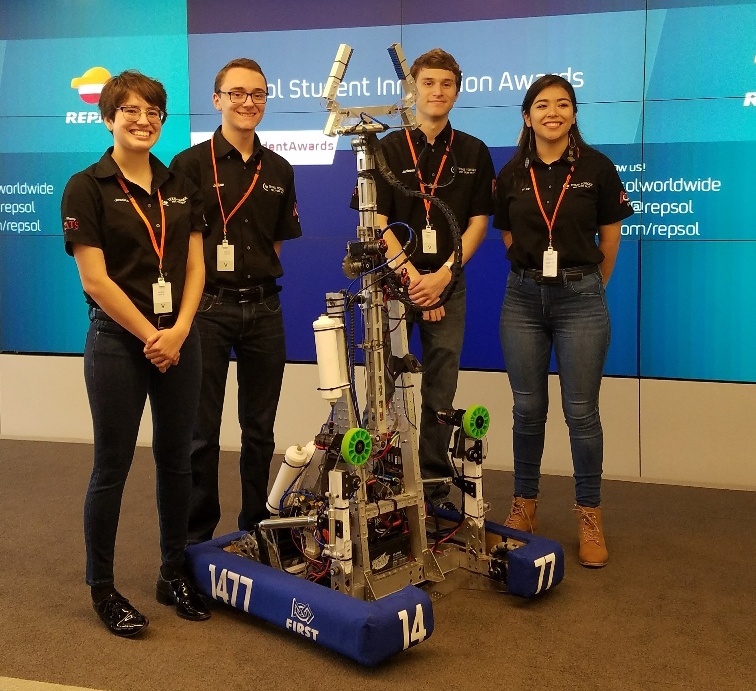 A private school in Nueva Rosita will also be forming a competitive group of FLL engineers, as well as several public schools in the area seeking sponsorship for teams. Thanks to the efforts of the Lopez sisters, Texas Torque has helped to spread the influence of FIRST on a global level in a town that is close to their hearts. On October 5th, Woodforest Bank Stadium was completely filled for the exciting College Park vs Klein Forest football game. Hundreds of fans cheered for their teams while 36 Texas Torque members provided them with the fuel to do so. While mentors took orders and handled the cash registers, students prepped and supplied tasty concessions. Local boy scouts worked alongside our team members to collectively raise money for the Ray Wert Memorial Scholarship. Mr. Wert was a beloved mentor who passed away this past spring, his family donated $1,000 to create a memorial scholarship that was to be given to a student with Mr. Wert’s principles. 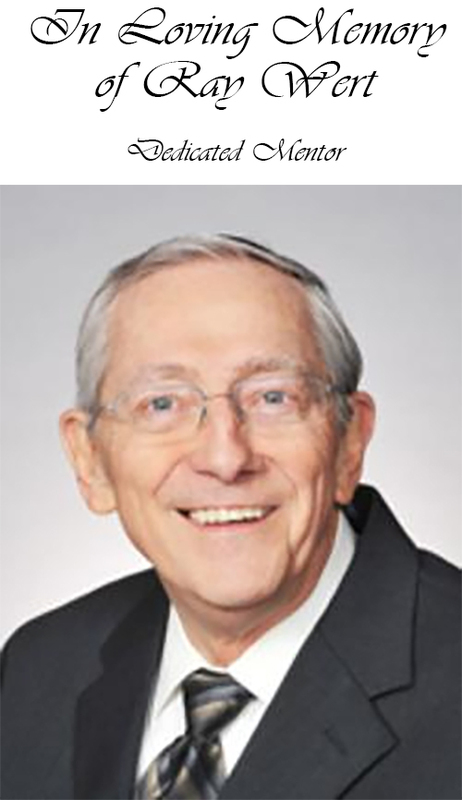 With the funds raised by these students and mentors, an exemplary member of Texas Torque will receive this scholarship in memory of Mr. Wert’s dedication to his students.